I have to take issue with Roy’s comment about criticism of this film and of ‘Viceroy House’; ‘disdain from middle class supporters’. He may have read examples of this but there has also been justified criticism of the films because of their failure to break out of the dominant values of Britain’s self-satisfied history of ’empire’. I have reviewed both films on my ‘Third Cinema Blog’. There they can be compared with films by indigenous artists from both Africa and the Indian sub-continent. Essentially the films fall somewhere between what Solanas and Getino termed mainstream or ‘bourgeois’ cinema and ‘second cinema’ or auteur works. As Franz Fanon argues, ‘the native intellectual gives proof that he has assimilated the culture of the occupying power’. In the case of ‘Viceroy House’ the film lets Mountbatten and his crew off the hook and makes villains of only Churchill and Ismay. 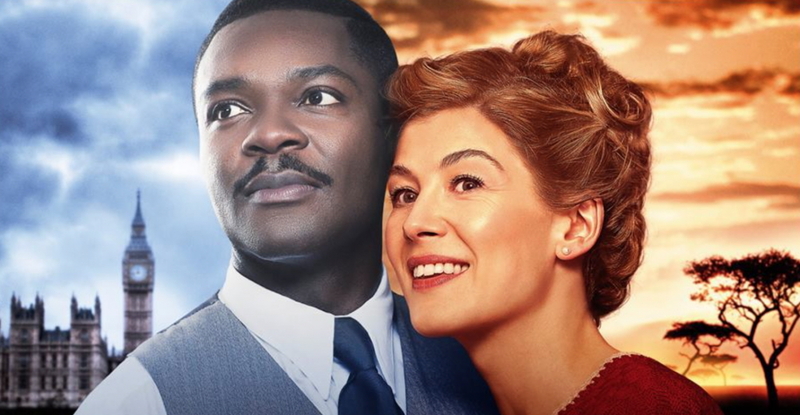 In the Case of ‘A United Kingdom’ the film fails to deal properly with the ordinary peoples of the kingdom, reduced to ciphers. Roy is right that these are genre films. But that it no reason for not identifying and criticising their reactionary politics. I did say I was making an emotional response. I don’t disagree with your analysis but I don’t want to blame either Amma Asante or Gurinder Chadha for how their films might be read by those with a ‘self-satisfied view of the history of the British Empire’. These are two British ‘women of colour’ who have tried to tell stories in which they have a personal investment. It’s only a beginning in terms of introducing such stories to a wider public. Fair comment Roy. But I do think that the directors bear some responsibility, especially as both exercise a high degree of control over their films. I thought Asante”s earlier films were better on class. And Chadha’s film is problematic in the way it handles the Hindu/Moslem conflict; something that it was taken to task over in an article in ‘The Guardian’. The earlier ‘Gandhi’ suffered from a similar problem. I reviewed an Indian film, Rangoon (2017) which is also a genre film, full of the tropes of what we call ‘Bollywood’. But it also celebrates the Indian National Army who waged war against the British colonialist in the early 1940s. A film that addresses the issues of colonialism and resistance is ‘Concerning Violence’ (2014), which does a pretty good job of presenting the ideas of Franz fanon.